The Nakasendo or 'Road through the Central Mountains' was part of feudal Japan's network of highways. Enjoy the best forest walks and Juku post towns, before heading into the Oku-Hida mountains to explore the biodiverse Kamikochi before arriving in iconic Takayama. Please ask for information about our tour extensions; spend more time in the Hida region with our Takayama extension, visiting the UNESCO thatched-roof community of Shirakawa-go and the wonderful teahouses of Kanazawa; enjoy spectacular views of Mount Fuji from the Hakone hot spring area and the rural village of Oshino Mura, or the peaceful, agricultural community of Asuka at a charming Japanese inn or with a local family for a unique homestay experience. We supply train tickets for your journey from Kyoto or from Tokyo to Nakatsugawa, including a ride on the world-famous Shinkansen (Bullet Train) to Nagoya. At Nakatsugawa, you board a local bus for the short journey to Magome. 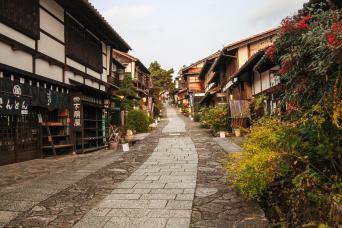 Walk over Magome Pass to Tsumago, one of the best-preserved and most evocative of the Nakasendo post-towns. In the afternoon, you will be picked up and transferred to your Onsen inn for the evening, a short drive from the main village of Tsumago. A longer option of 4 hours is also possible depending on the inn you stay at. The longest day on the trail is a beautiful and varied hike from Nagiso to Nojiri. The trail travels through small valleys and past forests of bamboo and Japanese cedar, through some of the least-developed scenery on the tour. Continue by train to Kiso-Fukushima. Stay at a lovely hot spring Ryokan set in a peaceful valley above the town. Complimentary transfer from the station is provided by the Ryokan). The Ryokan has lovely indoor and outdoor hot-spring baths. A longer option of 6 hours is also possible. A day to relax and explore the historic Kiso-Fukushima. Our optional walk today travels through a quiet scenic forest before taking in key areas of the town. Stay at another lovely hot spring Ryokan in the town. Today travel by train for the short journey from Kiso-Fukushima to Yabuhara, the starting point for the hike over the Torii pass to Narai. 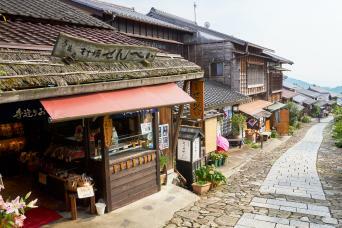 Explore this evocative village before a short walk to Kiso-Hirasawa, an historic lacquerware town. From here head on by train and bus to your inn for the evening; another wonderful Onsen Ryokan. An easier walk of 6.2km / 3.9 miles taking 3 hours is also available. Travel by bus to the biodiverse wetlands of Kamikochi; a popular site for nature hiking, featuring dramatic mountain and lake scenery. Head onwards to a secluded Onsen Ryokan village in Oku-Hida for the evening. A shorter walk of 3.2km / 2 miles and 1.5 hours is also possible. One final hike in the mountains of Oku-Hida, providing stunning views out over the local range. Head onwards by bus to Takayama where the tour ends. Explore this engaging town before heading onwards, which is well-known for its crafts, particularly yew-wood carving, Shunkei lacquerware, pottery and furniture. 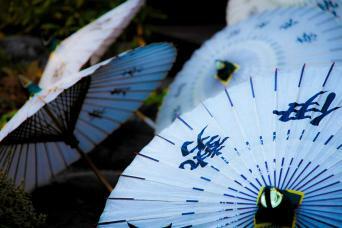 You may also wish to explore the ruins of Takayama castle and walk along the east-side temples.